If you love the USB Type-C port on Apple’s 12-inch MacBook but miss the quick release MagSafe power connector that probably saved your old MacBook’s life on many occasions, Griffin now has a simple way to get it back. The functionality behind the company’s new six-foot BreakSafe Magnetic USB-C Power Cable, available come April for $40, will almost certainly be familiar to MacBook users. The end of the cable that plugs into your 12-inch MacBook’s USB-C port, or the USB-C power port on any laptop, features a magnetic connection that will easily break when put under sudden strain. So if someone trips over your MacBook’s power cable, the magnetic connection will instantly separate instead of yanking your expensive hardware off a table. 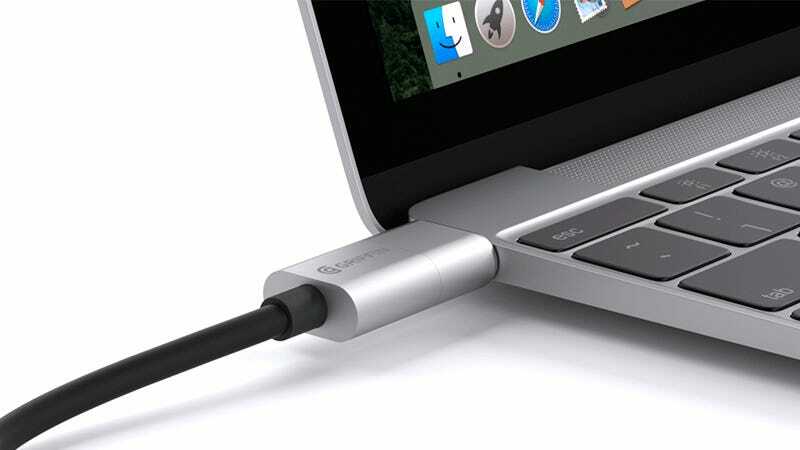 The magnetic connector is only half-an-inch deep so you can leave it connected to your laptop without it being too much of a nuisance—unless you need to plug in another USB-C device and only have the one at your disposal. But Griffin’s not to blame for your ultra-compact laptop’s port shortcomings.